At least four people have been killed in Lebanon, including a Syrian girl and her brother, after heavy rain and snow battered the country. Storm Miriam – also referred to by some Lebanese officials as Storm Tracy – is the second to hit the Eastern Mediterranean country this month after Norma, which struck on January 6. One person was killed and 10 injured on Tuesday in a vehicle collision caused by poor visibility, the Daily Star said. 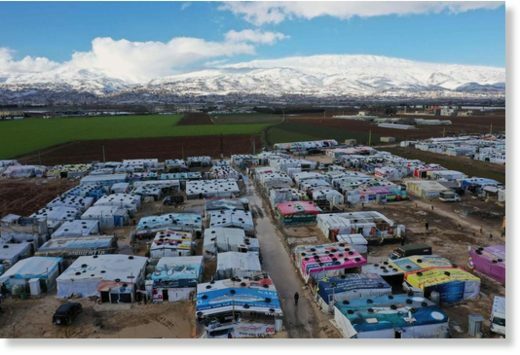 The first storm had a devastating effect on more than 20,000 refugees living in tents in eastern Lebanon’s Bekaa Valley and areas in the country’s north, displacing many whose shelters were either flooded or destroyed by snow.